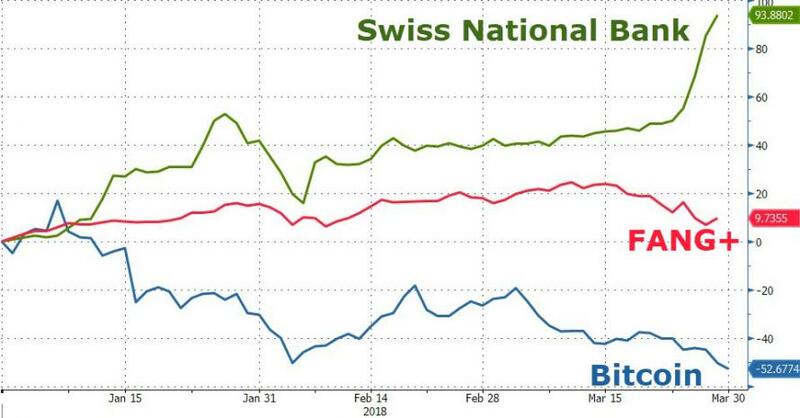 Bitcoin has bust, FANG stocks are FUBAR, but The SNB is accelerating. $11,589.01. 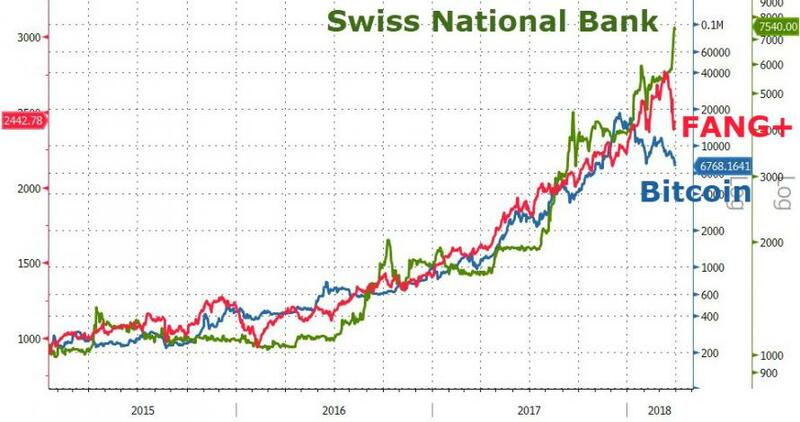 - That’s the US dollar amount of American stocks the Swiss National Bank owns on behalf of every man, woman and child in Switzerland. 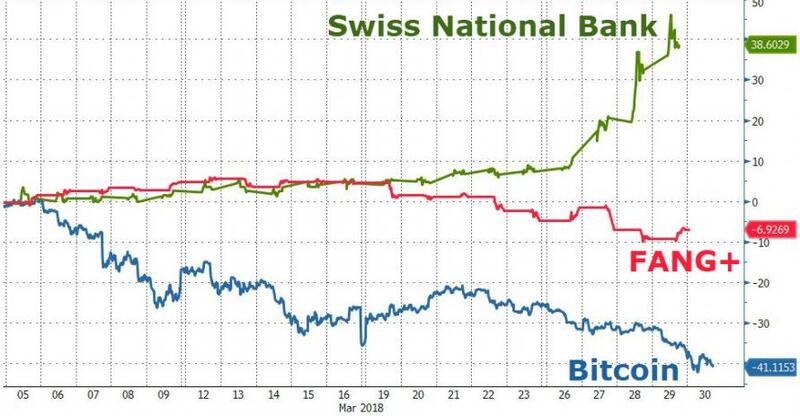 In a strange twist of fate, the Swiss National Bank is not only Switzerland’s Central Bank, but also a publicly traded security. 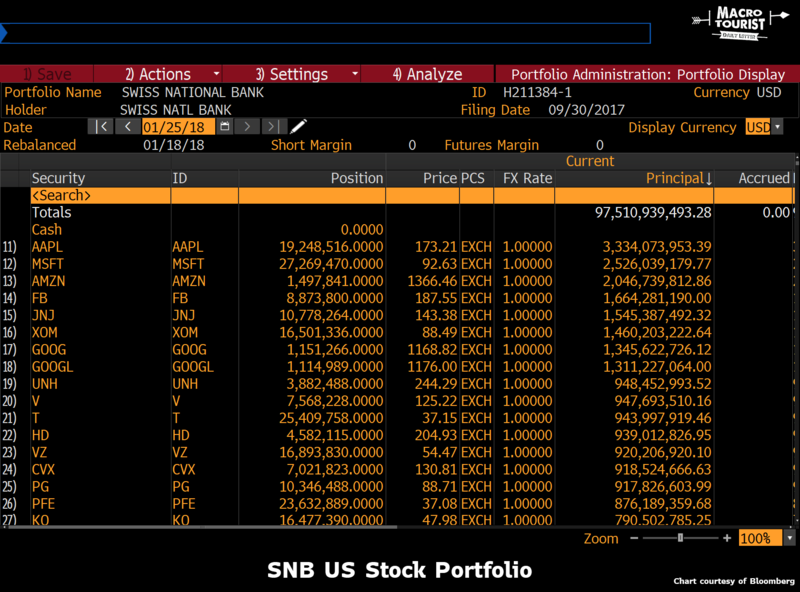 However, as Holger Zschaepitz notes, the market cap of the Swiss National Bank remains below CHF1bn amidst a profit of CHF54.4bn. As Macro Tourist's Kevin Muir concluded previously, I worry that right now, Central Banks are being rewarded for keeping their balance sheets as big and risky as they can stomach. It appears to be a trade with no cost, and in fact, helps out by both keeping their currency weak, and in the meantime, making some money. It encourages them to be extremely slow easing off the accelerator. The idiocy of Central Banks taking this sort of risk is beyond description, but no sense arguing about it - it is what it is. PS: If the Federal Reserve decided to invest $11,589 in the US stock market per American citizen, they would need to buy $3.75 trillion of stocks… That would mean they would have to almost double the already inflated balance sheet. 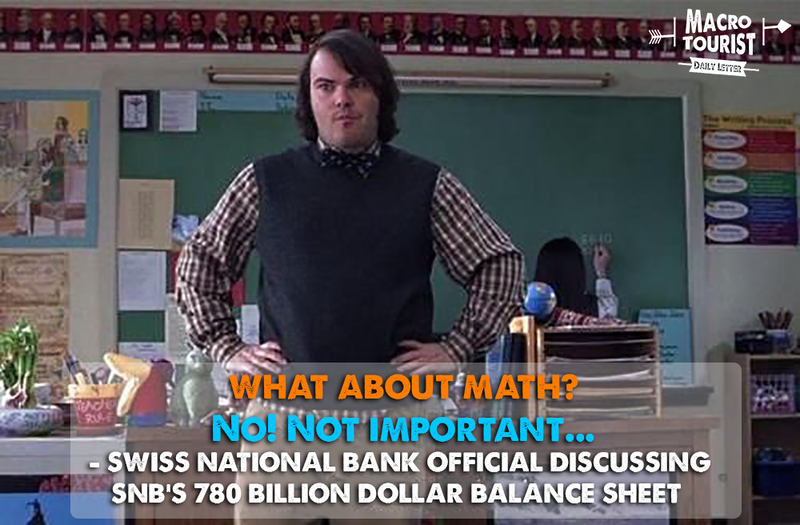 That’s the level of absurdity from the Swiss National Bank.